It's lunchtime and you need a burrito, but Chipotle is a whole two blocks away. Who could possibly walk that far to satisfy their burrito lust? It's an untenable situation. Cast your worries aside. Chipotle and DoorDash announced a partnership on Monday that will expand Chipotle's delivery footprint to more than 1,500 locations in hundreds of US and Canadian markets. Deliver through the DoorDash app begins April 30. Certain areas could get their Chipotle fix delivered previously. Tapingo would deliver to select college campuses in the US, and Postmates offered delivery in a handful of cities. Both of those partnerships remain in place, but loads more people will be able to have burritos sent directly to their face. 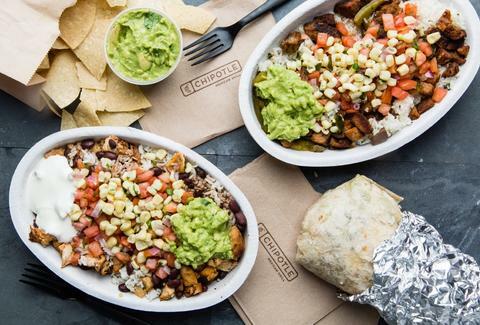 Among the many cities acquiring Chipotle delivery are Atlanta, Austin, Boston, Dallas, Detroit, Milwaukee, Minneapolis, Philadelphia, Pittsburgh, and St. Louis, as well as cities in Canada and Hawaii. To celebrate the expansion, DoorDash is waiving the delivery fee from April 30 through May 6. All you'll have to do is enter the code "GETCHIPOTLE" in the app when ordering. Then you're on your way to getting a burrito bowl plopped down on your desk. (Unfortunately, teachers can't get their BOGO burrito for Teacher Appreciation Day delivered.) Your goal of never standing again is within reach.